The conspiracy thriller is a subgenre of thriller fiction. The protagonists of conspiracy thrillers are often journalists or amateur investigators who find themselves pulling on a small thread which unravels a vast conspiracy that ultimately goes "all the way to the top." The complexities of historical fact are recast as a morality play in which bad people cause bad events, and good people identify and defeat them. Conspiracies are often played out as "man-in-peril" stories, or yield quest narratives similar to those found in whodunnits and detective stories. Henri-Robert-Marcel Duchamp was a French-American painter, sculptor, chess player, and writer whose work is associated with Cubism, Dada, and conceptual art. He was careful about his use of the term Dada and was not directly associated with Dada groups. Duchamp is commonly regarded, along with Pablo Picasso and Henri Matisse, as one of the three artists who helped to define the revolutionary developments in the plastic arts in the opening decades of the 20th century, responsible for significant developments in painting and sculpture. Duchamp has had an immense impact on twentieth-century and twenty first-century art, and he had a seminal influence on the development of conceptual art. By World War I, he had rejected the work of many of his fellow artists as "retinal" art, intended only to please the eye. Instead, Duchamp wanted to use art to serve the mind. 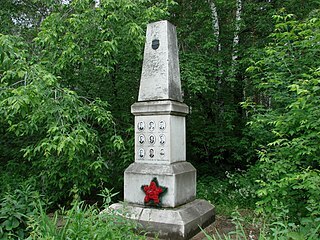 The Dyatlov Pass incident refers to the deaths of nine ski hikers in the northern Ural Mountains in the Soviet Union between 1 and 2 February 1959 under unclear circumstances. The experienced trekking group, who were all from the Ural Polytechnical Institute, had established a camp on the slopes of Kholat Syakhl in an area now named in honor of the group's leader, Igor Dyatlov. During the night, something caused them to tear their way out of their tents and flee the campsite while inadequately dressed for heavy snowfall and sub-zero temperatures. Nevala-Lee, Alec (2018). Astounding: John W. Campbell, Isaac Asimov, Robert A. Heinlein, L. Ron Hubbard, and the Golden Age of Science Fiction. New York: Dey Street Books / HarperCollins. ISBN 9780062571946. Nevala-Lee, Alec (2012). The Icon Thief. New York: Signet / New American Library. Nevala-Lee, Alec (2012). City of Exiles. New York: Signet / New American Library. Nevala-Lee, Alec (2013). Eternal Empire. New York: Signet / New American Library. Inversus 2004 "Inversus". Analog Science Fiction and Fact. 124 (1, 2): 200–227. January 2004. Kawataro 2011 "Kawataro". Analog Science Fiction and Fact. 131 (6): 90–103. June 2011. Ernesto 2012 "Ernesto". Analog Science Fiction and Fact. 132 (3): 42–49. March 2012. "Ernesto". Lightspeed Magazine (76). September 2016. The Voices 2012 "The Voices". Analog Science Fiction and Fact. 132 (9): 56–67. September 2012. "Marcel Duchamp’s Turning Point." Los Angeles Times, March 18, 2012. "Karl Rove’s Labyrinth." The Daily Beast, November 20, 2012. "Lessons from The X-Files." Salon, September 17, 2013. "Xenu’s Paradox: The Fiction of L. Ron Hubbard and the Making of Scientology." Longreads, February 1, 2017. "The Campbell Machine." Analog Science Fiction and Fact, July/August 2018. "Dawn of Dianetics: L. Ron Hubbard, John W. Campbell, and the Origins of Scientology." Longreads, October 23, 2018. 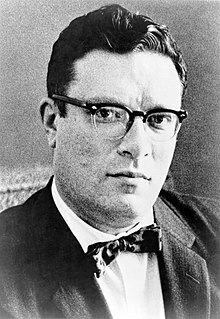 "What Isaac Asimov Taught Us About Predicting the Future." New York Times, October 31, 2018. Appeared in the print edition on November 3, 2018, under the headline "Back to the Future." "How Astounding Saw the Future." New York Times, January 10, 2019. Appeared in the print edition on January 13, 2019, under the headline "Simply Astounding." “Retention.” Episode of the audio science fiction series The Outer Reach. Released on December 21, 2016. Featuring the voices of Aparna Nancherla and Echo Kellum. Aparna Nancherla is an American comedian and actress. She has appeared on Inside Amy Schumer and has written for Late Night with Seth Meyers and Totally Biased with W. Kamau Bell. Nancherla released her debut comedy album Just Putting It Out There through Tig Notaro's Bentzen Ball Records on July 8, 2016. Echo Kellum is an American actor and comedian. Kellum is best known for his roles as Curtis Holt on The CW drama series Arrow, Tommy on the FOX sitcom Ben and Kate, and Hunter on NBC's Sean Saves the World. "Dianetics: The Evolution of a Science" is an article by American writer L. Ron Hubbard, published in Astounding Science Fiction published immediately preceding the release of Dianetics: The Modern Science of Mental Health that introduced Dianetics. Dianetics: The Evolution of a Science covers how Hubbard defined the reactive mind and developed the procedures to get rid of it. The history of Dianetics possibly begins in the 1920s. Its originator L. Ron Hubbard claimed that his ideas of Dianetics originated in the 1920s and 1930s. By his own account, he spent a great deal of time in the Oak Knoll Naval Hospital's library, where he would have encountered the work of Freud and other psychoanalysts. In April 1950, Hubbard and several others established the Hubbard Dianetic Research Foundation in Elizabeth, New Jersey to coordinate work related for the forthcoming publication. Hubbard first introduced Dianetics to the public in the article Dianetics: The Evolution of a Science published in the May 1950 issue of the magazine Astounding Science Fiction. 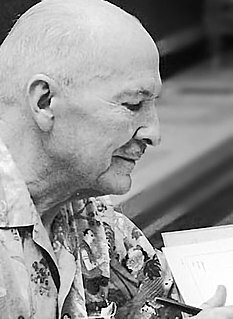 Hubbard wrote Dianetics: The Modern Science of Mental Health at that time, allegedly completing the 180,000-word book in six weeks. The 1989 Annual World's Best SF is an anthology of science fiction short stories edited by Donald A. Wollheim and Arthur W. Saha, the eighteenth volume in a series of nineteen. It was first published in paperback by DAW Books in June 1989, followed by a hardcover edition issued in September of the same year by the same publisher as a selection of the Science Fiction Book Club. For the hardcover edition the original cover art by Jim Burns was replaced by a new cover painting by Richard M. Powers. Lafayette Ronald Hubbard, better known as L. Ron Hubbard, was an American pulp fiction author. He wrote in a wide variety of genres, including science fiction, fantasy, adventure fiction, aviation, travel, mystery, western, and romance. He is perhaps best known for his self-help book, the #1 New York Times bestseller Dianetics: The Modern Science of Mental Health, and as the founder of the Church of Scientology. 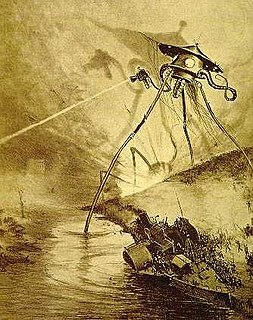 The Analog Anthology #1 is an anthology of science fiction stories and articles drawn from Analog magazine over its first fifty years of publication, edited by then-current Analog editor Stanley Schmidt. It was first published in paperback by Davis Publications in December 1980, and reprinted under the alternate title Fifty Years of the Best Science Fiction from Analog in 1982. A hardcover edition was issued under the alternate title Analog’s Golden Anniversary Anthology in 1981. ↑ "Hugo Finalists for 2019 Hugo Awards and 1944 Retro Hugos". Dublin 2019. Retrieved 2019-04-02. ↑ "The Economist's books of the year". The Economist. Retrieved 2018-11-29. ↑ "Astounding - Alec Nevala-Lee - Hardcover". HarperCollins Publishers: World-Leading Book Publisher. Retrieved 2018-11-09. ↑ "Publishers Marketplace". www.publishersmarketplace.com. Retrieved 2018-11-26. "Alec Nevala-Lee's BUCKMINSTER FULLER, a biography of architectural designer and creator of the geodesic dome, futurist Buckminster Fuller, thought to be the precursor to some of today's most iconic innovators and thinkers—including Steve Jobs, Jeff Bezos, and Elon Musk, again to Carrie Thornton at Dey Street Books." ↑ "Authors : Nevala-Lee, Alec : SFE : Science Fiction Encyclopedia". www.sf-encyclopedia.com. Retrieved 2018-12-08. ↑ Levin, Trevor J. (April 26, 2016). "The Springboard: Alumni in the Arts Recall Studies at Harvard". www.thecrimson.com. Retrieved 2018-10-15. ↑ Borrelli, Christopher. "What happened to all the women in science fiction?". chicagotribune.com. Retrieved 2018-11-09. ↑ "Alec Nevala-Lee | Penguin Random House". PenguinRandomhouse.com. Retrieved 2018-12-12. ↑ "Summary Bibliography: Alec Nevala-Lee". www.isfdb.org. Retrieved 2018-12-12. ↑ "sfadb : Alec Nevala-Lee Titles". www.sfadb.com. Retrieved 2018-12-12. ↑ "What Isaac Asimov Taught Us About Predicting the Future" . Retrieved 2018-10-31. ↑ Nevala-Lee, Alec (2019-01-10). "How Astounding Saw the Future". The New York Times. 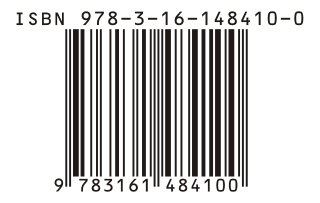 ISSN 0362-4331 . Retrieved 2019-01-16. ↑ "Alec Nevala-Lee". HarperCollins Publishers: World-Leading Book Publisher. Retrieved 2018-07-15. ↑ "A new Kickstarter project will publish an undiscovered novel that inspired The Thing". The Verge. Retrieved 2018-10-21. ↑ "In 1949, psychiatrists wouldn't touch Dianetics — so L. Ron Hubbard invented one who would « The Underground Bunker". tonyortega.org. Retrieved 2018-11-03. ↑ Lausch, Monica. (2016). "The Library as a Laboratory in the Search for New Perspectives: The Artist-Librarian Marcel Duchamp." Art and Book: Illustration and Innovation. Newcastle upon Tyne, United Kingdom: Cambridge Scholars Publishing, p. 33. "Duchamp's artworks have become intertextual signifiers....As icons they have extended themselves in book culture in recent fiction novels, including a thriller entitled The Icon Thief by Alec Nevala-Lee and the futuristic 2666 by Robert Bolaño." ↑ "City of Exiles". Publishers Weekly. ↑ Steinbock, Steve (March 2014). "The Jury Box". Ellery Queen Mystery Magazine. ↑ Horton, Rich. (August 2013). "Locus Looks at Short Fiction." Locus Magazine. ↑ Strahan, Jonathan. "Episode 330: Books, reading and wolves..." The Coode Street Podcast. Retrieved 2018-05-07. ↑ Saler, Michael (2018-10-19). "It Came From the Future". Wall Street Journal. ISSN 0099-9660 . Retrieved 2018-10-19. ↑ "Meet Hackers, Gunslingers, and Witches in Barnes & Noble Booksellers Picks for October". Tor.com. 2018-10-02. Retrieved 2018-10-02. ↑ Cheryl (2019-04-02). "2019 Hugo Award & 1944 Retro Hugo Award Finalists". The Hugo Awards. Retrieved 2019-04-02. ↑ "Hugo Eligibility – Fire & Blood | Not a Blog" . Retrieved 2019-02-04. ↑ "Nonfiction Book Review: Astounding: John W. Campbell, Isaac Asimov, Robert A. Heinlein, L. Ron Hubbard, and the Golden Age of Science Fiction by Alec Nevala-Lee. Dey Street, $28.99 (320p) ISBN 978-0-06-257194-6". PublishersWeekly.com. Retrieved 2018-05-23. ↑ "Astounding". Kirkus Reviews. May 15, 2018. ↑ Sallis, James (November 2018). "Books: Review of Astounding". The Magazine of Fantasy & Science Fiction: 66–67. ↑ Wolfe, Gary K. (November 2018). "Locus Looks at Books". Locus: 16–17. ↑ "P Nielsen Hayden on Twitter". Twitter. Retrieved 2018-11-16. ↑ "Review | Let us praise the giants of science fiction: Campbell, Asimov and, yes, L. Ron Hubbard". Washington Post. Retrieved 2018-10-31. ↑ "2011 Recommended Reading List". Locus Online. Retrieved 2018-05-23. ↑ "2013 Locus Recommended Reading List". Locus Online. Retrieved 2018-05-23. ↑ "2017 Locus Recommended Reading List". Locus Online. Retrieved 2018-05-23. ↑ "2018 Locus Recommended Reading List". Locus Online. Retrieved 2019-02-03.